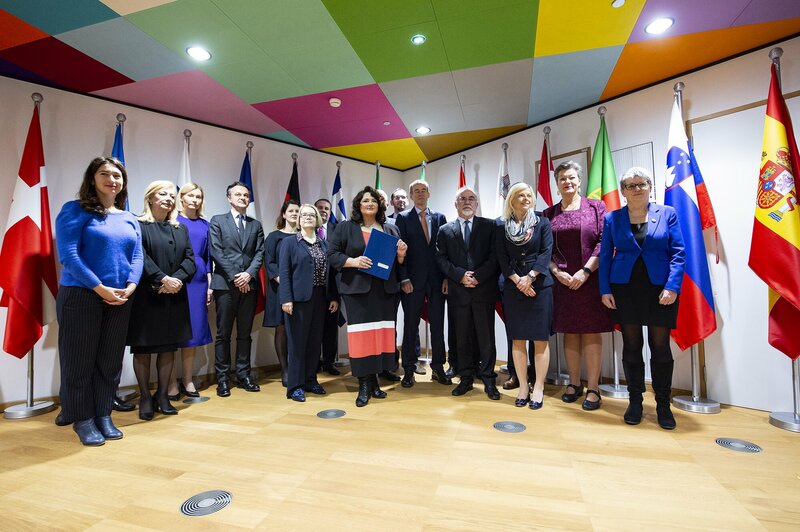 19 EU member states have signed a common paper prepared by the Maltese government, calling for continued efforts within the EU to ensure full protection of LGBTI rights. The paper called on the next European Commission to ensure strong follow-up of the current EC LGBTI list of actions, and adopt a coherent EU LGBTI strategy. The signatory countries of the paper are Malta, Czech Republic, Italy, France, Slovenia, Germany, Belgium, Luxembourg, Netherlands, Spain, Portugal, Greece, UK, Ireland, Finland, Sweden, Denmark, Estonia, and Cyprus. In the EPSCO Council debate on Thursday afternoon, the signatory member states showed an immediate commitment to ensure that the EU lives up to obligations to protect LGBTI rights, refusing to accept to adopt Council Conclusions regarding “gender equality, youth and digitalization”, from which the Austrian Presidency had deleted a reference to LGBTIQ people on the request of Poland and Hungary. “It was very reassuring [..] to see a majority of member states drawing a line and speaking out clearly and strongly about the fact that taking out a reference to LGBTIQ people as protected group is unacceptable”, said ILGA-Europe’s Executive Director Evelyne Paradis. “We would like to thank all member states who spoke out and stopped this attempt that would have marked a clear step backwards from EU treaty obligations and agreed text within the EU institutions“. Over the last two years, Poland and Hungary several times explicitly called for the exclusion of LGBTI people from EU protection, both in the European Council and before the European Court of Justice. “It was important that member states [Thursday] were clear that this is unacceptable. As regrettable as it is, that this means that Council Conclusions could not be adopted, the EU cannot be taken hostage by 2 countries and be forced to dismantle agreed non-discrimination standards”,commented ILGA-Europe’s Advocacy Director Katrin Hugendubel. ILGA-Europe will built on the support shown on Thursday last, and will continue to work with member states and the European institutions, to ensure that all grounds set out in the Charter of Fundamental Rights are equally protected in EU policymaking. A strong commitment from the EC in the form of an LGBTI strategy for the next mandate will be key to close protection gaps for LGBTI people.